Negative intercultural encounters have diverse causes – fear, anger, ignorance, actual danger in some cases. But many simply boil down to culture shock – a knee-jerk reaction to the culturally unfamiliar. The signs of culture shock are everywhere these days—on social media, between nations and groups, in our streets and homes. 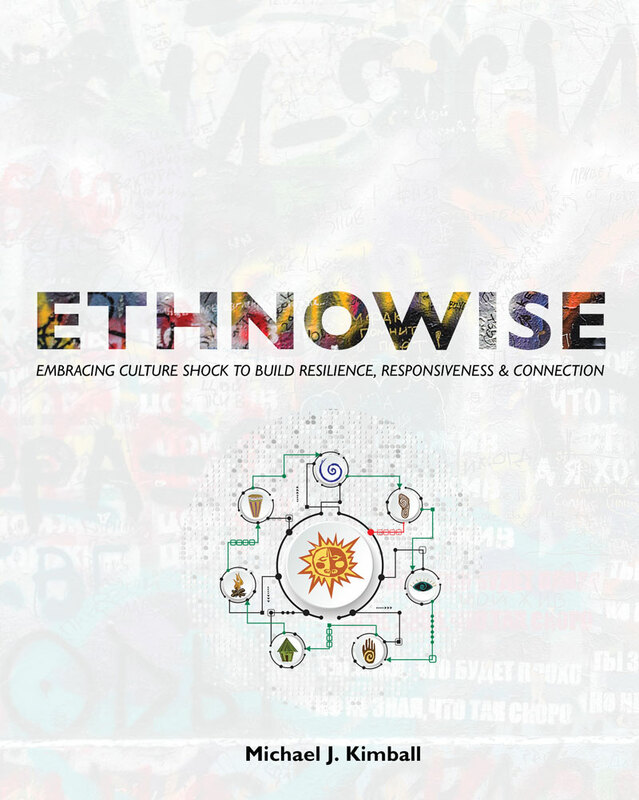 Ethnowise: Embracing Culture Shock to Build Resilience, Responsiveness, & Connection provides a path that invites readers to not only face, but actually embrace culture shock. The publication uses popular culture metaphors (The Matrix and Alice’s Adventures in Wonderland) throughout to apply concepts and scenarios to real-life. Provides a set of engaging principles and techniques rooted in anthropology, neuroscience, psychology and the science and practice of mindfulness. Helps readers to disrupt their habitual reactions to the unfamiliar, grow their resilience to cultural discomfort, and transform culture shock into connection. Presents a set of Ethnowise Insights, Efforts, and Tools that you will need to penetrate the dreamlike milieu of your cultural matrix and see the “code” that underlies it. Helps chart the steps along an ethnowise path as the reader works to penetrate the secrets of other cultural matrices, and, in the process, cultivate the resilience, responsiveness and connections you need to thrive in a rapidly changing world. Utilizes data from electronic Human Relations Area Files (eHRAF) as a primary source. Welcome to the Cultural Discomfort Zone! 3 things to know about culture shock. 1. Culture shock hits your ABCs. 2. Culture shock makes you reactive. Principle 1: Your culture is a matrix. 1. Your cultural matrix is everywhere. It is all around you. Even in you. 2. You are a co-architect of your cultural matrix. 3. Some cultural matrices are weirder than others. 4. There are many portals into your cultural matrix. Your stuff is a portal into your cultural matrix. Your sense of time is a portal into your cultural matrix. Where do you point to the future? Principle 2: Stories feed your matrix. Principle 3: Your cultural matrix warps your view. 1. Face it, you are ethnocentric. 2. Your cultural values tint your lens. 3. Your cultural logic tints your lens. Principle 4: You are pre-wired to find your tribes. The problem and potential of tribes. 1. You have a "hive switch"
Principle 5: You are an avatar. You can hack your cultural matrix. 2. Mindfulness + wonder = openness to experience. 3. Present-time awareness increases your options and improves your confidence. 4. Turning toward experience – painful, joyous, everything in between – grows your resilient zone. 7. You need to keep training your mindfulness muscle. 1. Embrace vulnerability, uncertainty, and humility. 2. Go beyond the limits of your own taken-for-granted world. 3. Be a responsive witness. Don’t listen to react. Listen to learn. Kimball draws on a rich spectrum of sources to disclose the bona fide intersections of anthropology, psychology, literature, contemporary culture and everyday life experience. The result is a useful— and amusing—collection of insights about human relations in our rapidly changing world. Ethnowise is a special treat to read. Moreover, it will inspire reflections on your own multi-cultural encounters—as it should. Ethnowise is an educational and enlightening look at the way our cultural biases create discord and ‘culture shock’ anytime we confront difference in our lives. Kimball's delightful use of storytelling makes the book fun to read and brings his concepts to life. An important book for our times, Ethnowise offers a path towards greater understanding and connection across cultures.